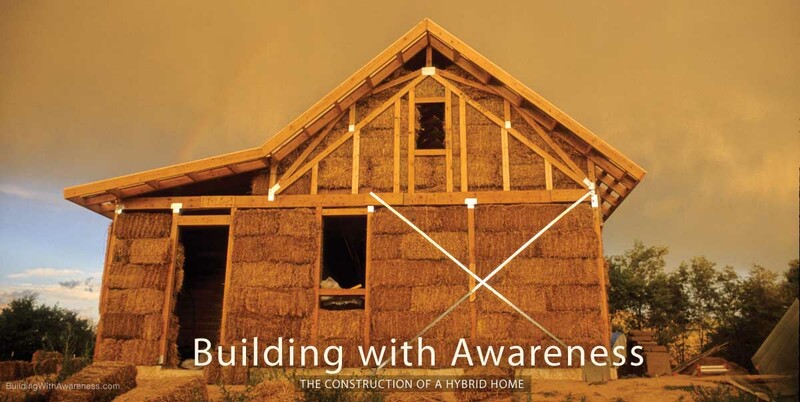 Building With Awareness - How To Build A Solar Straw Bale Home: A Book and award-winning DVD Video. Featuring a blog on various green building techniques for building a home. Constructing a straw bale solar house requires the merging of solar design with alternative building techniques. Books are great for acquiring information on these topics quickly and easily, while videos are essential for showing the actual building methods and techniques firsthand. The Building With Awareness DVD and guidebook brings you the best of what both video and books have to offer. The award-winning DVD is inspiring and informative, with over five hours of material on every aspect of building a green home with straw bale and other natural materials. The 152-page handy-reference guidebook complements the DVD with more than four hundred full-color photographs, diagrams, and illustrations—plus tips, suggestions, and step-by-step methods—all condensed into an easy-to-understand format. Used side-by-side, these two important resources provide a comprehensive and visually dynamic library of information on building beautiful and energy-efficient green straw bale homes. 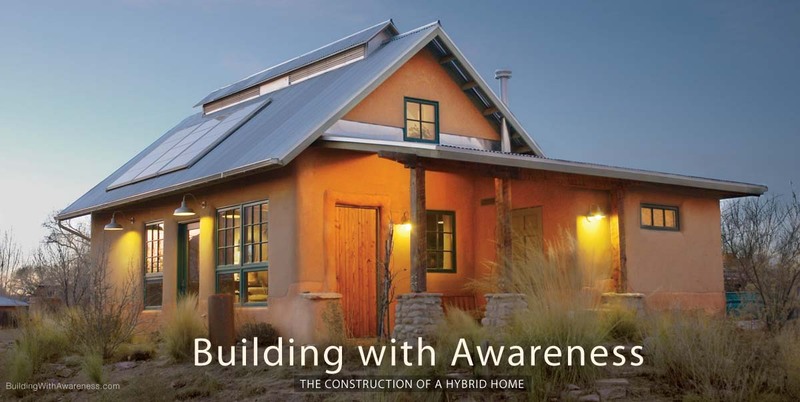 The Building With Awareness website also contains information on straw bale wall construction, adobe wall construction, using solar panels (photovoltaic PV panels) to generate electricity, and a blog on various green building techniques for building a home.